Ally Bank is an online-only bank that features live 24-hour customer service. Ally offers strong rates, innovative tools and superior customer service. Since Ally saves by eliminating the need for local branches, they’re able to offer extremely competitive rates on products. With an array of investment options, Ally is a wise choice for the Internet savvy consumer. The Raise Your Rate Certificate of Deposit is a great way to safely grow your savings. Ally‘s Raise Your Rate CD provides the security of a fixed-rate CD, but also the added benefit of an variable-rate when interest rates are on the rise. Customers lock in at a set rate for a 2 or 4 year CD. Over the duration of the term, they’re given the option to “raise the rate” if Ally‘s current rate is higher than the interest rate they’re receiving. There are no fees associated with requesting a rate interest. Your investment is insured by the federal government for up to $250,000. Like any other CD, you must keep the money in the account until the maturity date. If you have to take an early withdrawal, there’s a penalty. Ally only waives the penalty in the event of the depositor’s death or legal declaration of incompetency. If you‘re trying to decide if a CD is the right investment for you, ask yourself if you can avoid touching the funds for duration of the CD. If you aren’t sure, you may want to consider a money market account instead. When your CD matures, withdraw your funds during a 10-day grace period. If you fail to collect your money, Ally will automatically renew the CD. You‘ll want to make sure you‘re aware of the maturity date if you want to take out your funds. 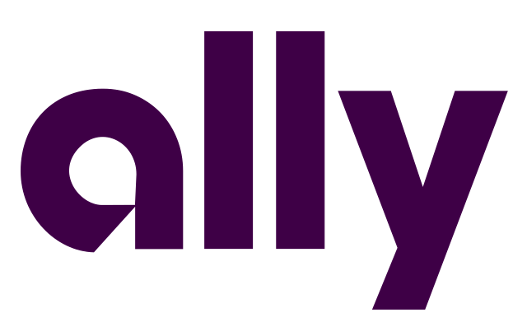 Ally Bank is known for its low fees. There are no maintenance fees on the Raise Your Rate CD. You‘ll simply open the account with the principal balance and begin earning interest. Since you can’t stop into a branch to fund the account, you‘ll need to deposit an e-check or complete an ACH transfer. Ally offers a 10-day rate guarantee to ensure you‘ll receive the most competitive rate. If the rates rise within 10 days of funding your account, Ally will adjust the rate. There’s no minimum amount needed to open a CD, however, a higher deposit may result in a better interest rate. Once you fund the account, you can’t make an additional deposit. Unlike some other banks or financial institutions that compound interest quarterly or even annually, Ally compounds the interest daily to maximize your earnings. On Ally.com, you can estimate your earnings based on the current interest rates and opening deposit. For example, you can expect to earn around $659 on a 2-year, $25,000 CD with an APR of 1.30%. Keep in mind, this estimate is the minimum you can anticipate receiving since you‘ll have the ability to bump up your interest rate if they rise. You can see how Ally‘s interest rates compare to other banks by checking current CD interest rates here. With an online bank, ease of use is crucial. You can download the Ally Bank app to view your account on the go or access online banking. When you‘re eligible to raise your rate, you‘ll receive a notification at the top of your account detail page. The app and online banking are user-friendly and easy to navigate. Account information is clearly displayed along with the customer service phone number and current wait time to speak to an agent. Ally bank was voted best online bank for 5 consecutive years by Money Magazine. Account holders have reported a wonderful, convenient banking experience. The customer service is one of the most impressive features of Ally bank.